For over 25 years, Cool Stance has been packed with coconut oil and fiber from coconut meal to promote health and increase energy. This powerful nutritional supplement is used to promote rapid release energy, maintaining gut health, and promoting a sleek and healthy coat. This unique blend combines all the natural benefits of turmeric, coconut oil, and more in a convenient and easy to use powdered supplement. At Stance Equine USA we believe every horse’s and companion animal’s life and vitality manifests through clean nutritional support and humane treatment. Ongoing education of the human counterpart makes such support possible and allows us as a community to grow and make this world a better place for all its inhabitants. We are lifelong equine professionals with experience in training of sport horses, natural hoof care and trained veterinary assistants. We strive to assist our clients in making the right decisions for their horses and companion animals. Partnering with Stance Global under the leadership of Dr. Tim Kempton and his experienced staff enables us to bring you products that support the above mentioned goals. 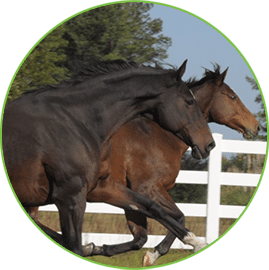 View our complete line of chemical and GMO free products guaranteed to promote health and enhance your horse’s performance! Browse our wide selection of copra and coconut oil based feed and nutritional supplements to help find the best fit for your horse's needs! Read about our pioneering research in feeding & health issues and find out how our products benefit your equine and canine friend(s)! all over the country, coast to coast.